Xiaomi has officially entered the U.K. market, having already made inroads into Europe over the past 12 months, starting with Spain and continuing with Italy and France. 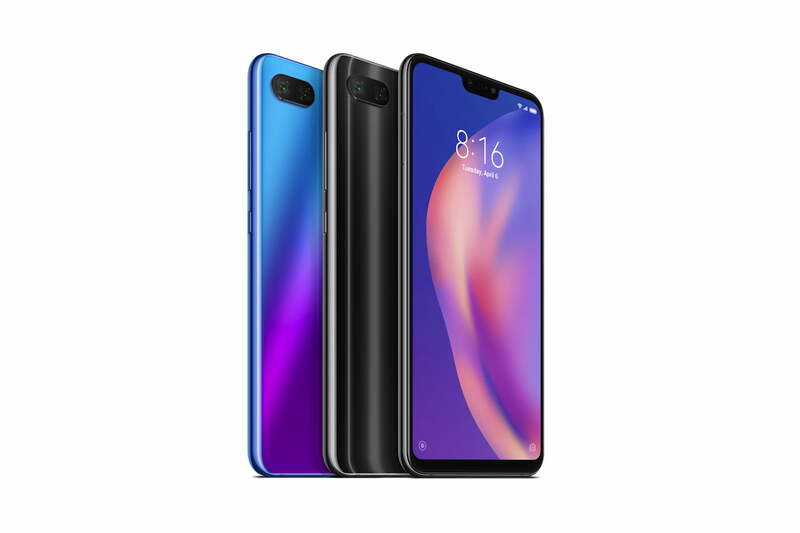 It has arrived with two smartphones, the Xiaomi Mi 8 Pro and the Mi 8 Lite, which were shown at an event in London on Thursday, November 8. Both these phones aren’t strictly new, as both launched in China in September, but they’re new to Europe and currently exclusive to the U.K. The Mi 8 Pro is the flagship, and the phone most will want to see, mainly due to the unusual, and really great-looking translucent rear panel. We really don’t see enough of this type of design, and Xiaomi has been sensible in that it’s not a true window into the device — which is usually unattractive — but a visually improved one using real components for an authentic look. We love it. Aside from the look, the in-display fingerprint sensor will also attract attention. We’re seeing more and more examples of this technology today, including on the Huawei Mate 20 Pro and OnePlus 6T, and it operates in the same way on the Mi 8 Pro. It’s underneath a 6.21-inch OLED screen with a 2248 x 1080 pixel resolution, and an 18.7:9 aspect ratio. The battery is a disappointingly small 3,000mAh cell, and uses Quick Charge 3.0. Made from glass, the body is just 7.6mm thick and weighs 177 grams, so it’s comfortable to hold and carry around. There’s plenty of power from the Snapdragon 845 processor and 8GB of RAM, with 128GB of internal storage space. On the back — which does have a passing resemblance to an iPhone XS — is a dual-lens camera. Both sensors have 12 megapixels, plus a 2x optical zoom mode, optical image stabilization, artificial intelligence for scene recognition, and an f/1.8 aperture. The front camera has 20 megapixels, HDR, and A.I. beauty modes. Xiaomi’s second phone is the Mi 8 Lite, which doesn’t share the same design. but does come in some cool colors, including an aurora blue and sunset gold, both with the currently fashionable gradient look. The phone doesn’t have the same spec as the Pro, as you’d expect from the name. It’s a Qualcomm Snapdragon 660 processor with either 4GB or 6GB of RAM, which have 64GB or 128GB of internal storage space respectively. The Mi 8 Lite’s LCD screen measures 6.26-inches and has a 2280 x 1080 pixel resolution, and a 19:9 aspect ratio. There are two camera lenses on the back, a main 12-megapixel camera and a secondary 5-megapixel camera, which also shoots bokeh-style portraits, and uses A.I. for scene recognition. The fingerprint sensor is on the back of the device this time, plus there is face unlock; however the Mi 8 Pro is also supposed to have this feature, but it was not enabled on our test device. Finally, the battery has a 3,350mAh capacity and Quick Charge 3.0, while the body is also made from glass, weighs 169 grams and measures only 7.5mm thick. What we don’t know at the time of writing is the price of either Mi 8 phones. 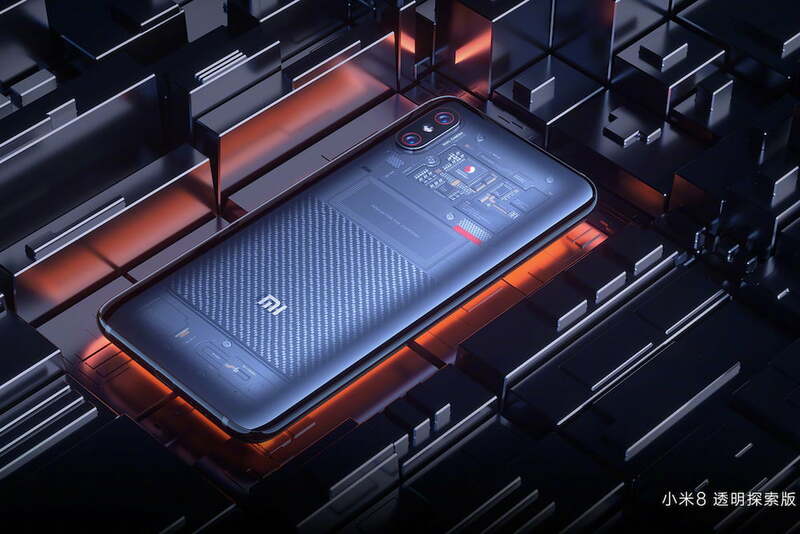 The Mi 8 Pro and Mi 8 Lite will be sold through Xiaomi’s own online store, Amazon, Argos, John Lewis, Carphone Warehouse from November 9, along with the Three network too. The Xiaomi retail store will open on November 19. We’re at the event in London, and will update when we have all the official information. Expect Xiaomi to take on OnePlus and Honor with its pricing and promotion. In addition to the Mi 8 phones, the Redmi 6A will also be available. It’s a basic MediaTek-powered phone with a 13-megapixel rear camera, priced at 100 British pounds, or about $130, plus the Xiaomi Band 3 fitness tracker. The band has an OLED screen, 20-day battery life, and a bargain price of 27 British pounds, or about $35. Finally, the Mi Electric Scooter will be sold for 400 pounds, or $525. It has a 30km range, uses an app as its dashboard, and weighs only 12kg. It’s one of Xiaomi’s most popular non-smartphone products.